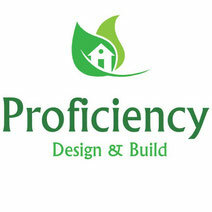 Proficiency has been helping customers with their construction project since 2011. 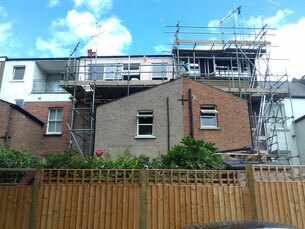 We have build house extensions in North and South London. As a leading construction company London we are fully insured and can help you with almost any project you may have. We have in house architect who will be working along side with you. 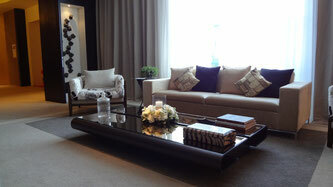 We help you build your dream room or just simply add extra space in your current house. What Are The Types Of Loft Conversions You Can Choose From? Loft conversions are unique to the project, but there are certainly examples. For instance, there is the Velux conversion, and this is a loft where you would have access to a main window that takes up much space on the wall facing frontward. 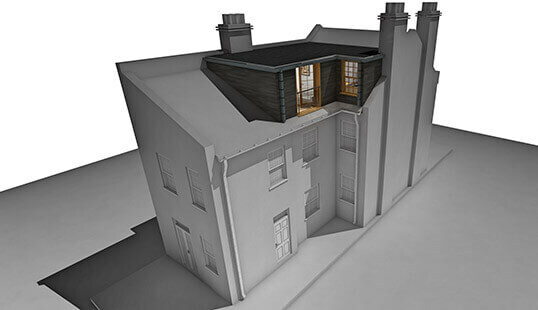 This type of loft conversion in London doesn't call for many roof adjustments to be made, which is certainly a good thing when you're talking project costs. What other types of loft conversions available in Lonodn? There is what's called the dormer loft conversion as well. Don't do much to the roof, and you're essentially going to have an A-Frame house structure to your walls on both sides. If you go with a dormer loft conversion, you can count on one of your side walls being flat. As you can imagine, however, roof alterations have to be made, and that can cost you extra money. Our loft team have done simmilar job for Ian's house. Hip to gable loft conversions are also quite popular. These types of conversions are about minimising the space that has been lost. Then there is the Mansard loft conversion. These types of conversions are kind of like the dormer loft conversion, yet there are some differences. When planing a loft conversion to any structure, it's important to understand roof types. You're going to want to involve and engineer so that the proper blueprint can be drawn up for your loft conversion. The plans are essential, and you have many types of loft conversions to choose from. 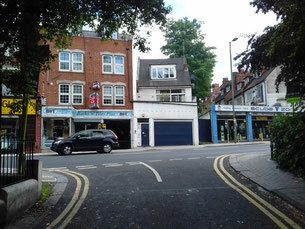 There Are multiple choice of loft conversions in london. 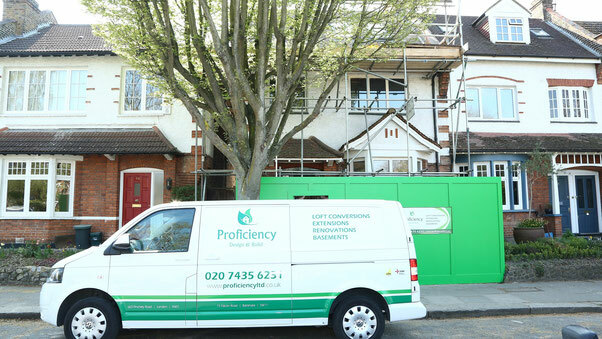 Proficiency can help you to make an inform decision about which loft conversion would be best for your property and your budget. Talk with a contractor about your roof and how you plan to convert space into a loft within your home. 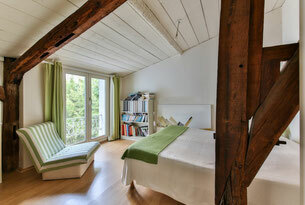 Maximise that space, and then you can start coming up with creative plans for using the loft. Maybe you already have a good plan, and you just need to come up with a good blueprint for it and know the total costs for your project. Do you have a construction company in London? If you are working on a high-rise construction project, you are going to need scaffolding. This is the material that will allow you to get to the highest possible points to complete your construction project. It needs to be safe, which means you need to work with a company that only has the latest scaffolding that is available. They should have a track record for providing quality scaffolding that can go up to extraordinary heights. Here is a brief overview of how to find a scaffolding London business that will be more than happy to provide you with exactly what you need. 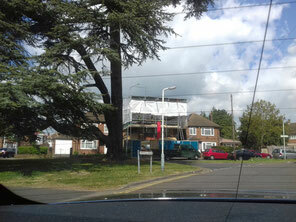 If you are in hurry head to http://scaffold-tower-hire.com and they will help you with scaffolding. Will It Take Long To Find These Companies? It will likely take just a few minutes to find a couple companies that offer this type of service. You are going to find several businesses that can provide this for you. Some of them are going to be very expensive, whereas others will be relatively inexpensive and will also provide you with the best possible services. It will require getting estimates, making phone calls, or submitting a request via email to get this information. Make sure that the company is legitimate and does not have any complaints against them before you decide to use this company to help you. Getting a scaffolding London company to give you a discount simply requires you to look at all of the advertisements that are currently running. You should have several different businesses that can offer you excellent deals on scaffolding that you can use for any construction project that you have in mind. As long as you have done the background research, and looked at the testimonials, you will know who to trust. 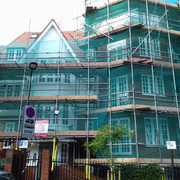 Best of all, you will get excellent prices for some of the best scaffolding in London that is currently available. 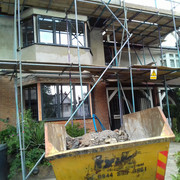 Contact a scaffolding London company today that can help you out. Once you decide that you are ready for a home renovation project, there are many things that you will need to do to get the results that you desire. You will need to think about what changes you would like to have done. You will need to decide on a budget. And there are many other decisions that you will need to make to ensure that your renovations are those that leave your home as a space that you enjoy. One of the most important things that you can do as you consider making improvements to your home is finding a reputable house renovation London company. Read on for helpful tips you can use to help you do so. One option for finding the company you want to work with is ask your trusted family and friends. If you know anyone that has previously worked with a house renovation London company, you can talk with them about their experiences. This will help you get a good idea as to what type of experience you may have if you choose to work with the company. Another option is to take your search online. By spending time on the World Wide Web looking at the different companies in London that specialise in renovating homes, you can learn quite a bit. Many companies share great information such as their experience and training. They may also share pictures of their previous work which can also give you an idea as to what type of work they do. Make sure you look at Proficiency Renovation projects. Once you have obtained information, whether it is from your friends and family or the internet, or both, you can decide who you want to hire to help you renovate your home in London. You can contact the company you are interested in and discuss your renovations. The Building company may want to visit your home so they can help you make the important decisions and give you an estimate as to what the job could cost. With all of this information, you can make the decision as to whether or not you want to hire the company or continue your search. In conclusion, when you want to renovate your home, there are many different decisions you will need to make and the most important one is the company you hire to do the work for you. You can use these tips to help. How can you find a good construction company in London is able to offer you? There are a few tips here that can get you the help you need. That way, you're able to work with the best company in the business for your needs. Construction companies that are available to work with are all different. Some are good at what they do, and some are not that great. So, you have to do a little bit of work on researching who offers what. You want to know how long they have been in business and what kind of work they have done before. You can find out a lot about companies if you look them up on the internet. Try to see what's available and then you can look into reviews and other information related to the company to avoid anyone that's an amateur. When you speak with a company, try to see if you can get a quote on the work that you need done. They may need to come out to see the area where they're going to be building, so if that's the case make you set up a time to have this happen. If they charge to give you a quote, then you may want to only work with them if you can't find a place that gives you free quotes. Generally, if you tell them what you need over the phone and how large the structure should be, you can get a very rough estimate to help you pick a good company. Does the company want to work with you on something or are they telling you they need to do it another way for it to work? One thing a lot of people don't realize is that not all ideas make good buildings. You should listen to experts and let them make changes to what you need just so you're sure you're able to get the building created in a way that will be long lasting. The last thing you need is to have it built in the wrong way only to have it fall apart over the years. A construction company London has to offer should be thoroughly researched. You don't want someone to do the job that won't do that good of one. That's why you should use this guide to help you figure out who the best person for the work is going to be. Hiring a building contractor is a big deal. You want to be sure that you have picked a good one, and as you can imagine, there are quite a few things to think about. If you're not familiar with the requirements, that means you probably haven't had to hire a contractor before. Perhaps you have hired a few niche contractors, but just not one to take on N entire building or remodelling and renovation project of significant size. There is certainly a difference, so let's look at what you should know when hiring building contractors London has to offer. You have certainly heard about checking licensing and credentials, but what exactly does that mean? Shouldn't all contractors be properly licensed in order to do business? Yes, of course, but think about storm chasers, and I'm not talking about the people that go around chasing actual storms and tornadoes. Also consider the fact that contractors often operate as mobile businesses, so this gives way to people looking to get one over on others. Not only do you have to worry about fraud, but you have to consider the fact that there are also many aspiring handymen that might try to fly under the radar. Trust me, I have a friend that does that. He is my friend, and what he does in his spare time and with work is his business. Furthermore, he's not trying to, at least in his own mind, dupe anyone. The idea behind what he does is that he is capable. However, that doesn't mean that he is licensed or that he has the proper credentials. To understand all of this, you truly need to know why it's so important that you actually hire one of the best building contractors London has to offer. There are jobs for handymen, sure. The type of job you are talking about though is for a contractor. At Proficiency we notice there are people that knowingly hire the wrong professionals in an attempt to save money, too. That is a bad idea. Don't put yourself between a rock and a hard place. Always hire the right person for the job. This is a big and important project you have here, and so you better handle it correctly. When all is said and done, you want to be happy with the outcome. Are you prepared to look around for the best building contractor in London now? If you're hiring builders to take on an important project, you're going to want to make sure that they are great at what they do. Use these tips, and you'll be able to find some of the best builders Barnet. If you know someone that has worked with local builders in the past, you should ask them about their experiences. Try to find out whether or not they can recommend someone to you. Asking for recommendations can help you to connect with some highly skilled local builders. It can also help you to figure out which builders you should avoid. If a local builder has a bad reputation, it's probably for a good reason. You'd be better off working with different a construction company instead. Once you've found a few promising builders, you'll want to interview your candidates. During the interview, you'll be able to ask them important questions and see if they are a good fit for the job. What sorts of things should you be asking? You'll want to ask if they have taken on jobs like this before. You should ask them for a price estimate, and you should also find out how long it will take for them to complete the job. In addition to everything else, you should ask the builders to provide you with references. Contact those references and see what they have to say. Make sure that their feedback is positive. You don't have to limit yourself to taking a single bid. Take bids from multiple contractors. See who is willing to offer you the best deal. When you are taking bids, you should ask that those bids are itemized. Make sure that all expenses are included in the bid. You don't want to accept a bid when you don't have all of the information. Go over the bids carefully before you decide what you want to do. Try to make the kind of choice that you will be satisfied with. There are plenty of great builders out there. Don't entrust an important job to someone that isn't qualified. Seek out builders that can provide everything that you need. If you use the tips above, you'll be able to find some of the best builders Barnet. You'll have a great experience if you hire the best available builders for your next job. Contact Proficiency today to discuss your project further and find out what we can offer to help. You should be interviewing Clapham builders before you commit to hiring anyone. Don't know what you should be asking? Here are a few simple questions that should be helpful to you. Ask these questions, and you'll be able to find the best builders to hire. You'll want to avoid working with builders that aren't properly insured. If you hire builders that have issues with their insurance, you could run into some big problems. 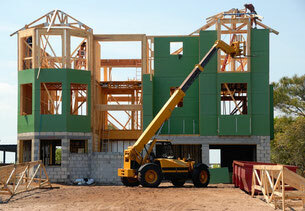 You should make sure that the builders you hire are licensed and insured. Have You Completed Jobs Like This Before? If you're asking contractors to take on a big job, you'll want to make sure that they can handle it. Find out whether or not they have handled jobs like this in the past. If they don't have any relevant experience, you may want to hire a different team instead. How Experienced Are Your Workers? Try to learn more about the team of Clapham builders that will be taking on your project. Check to see how much experience they have under their belts. Make sure that there are plenty of experienced professionals on the team. The longer a project drags on, the more you're going to wind up spending. You need to hire builders that are able to get things finished quickly. If your builders are fast, it will be a lot easier for you to keep your project under budget. You need to know what you're going to be paying for these services. Before you hire a team of builders, you should ask them to provide you with an itemized estimate. Go over the estimate they give you and make sure it seems reasonable. Encourage the builders you're interviewing to share relevant information with you. Pay close attention to how they answer this question. A hard-working team will provide you with a genuinely useful answer. A weaker team may brush off your question. Asking the right questions makes it easier for you to hire the best people for the job. If you're going to be hiring Clapham builders in the future, you need to make sure you ask all of the right questions. Ask the right builders these questions, and you'll be able to gather a lot of useful information. Maybe you are looking into doing a house extensions project soon? Contact Proficiency to discuss further how we can move forward on your project idea. A lot of home extensions London services exist. If you want to get the best services, then you need to check over these tips first. Here, you are going to learn who to pick out to do the job. When you were trying to get a home extension done you need to figure out if the person who is going to do the work has been able to complete a job like this in the past. If they have no experience with this kind of thing and they are using you as their first try, then you need to try to find someone else. Even if they are really good at building homes and what they do otherwise, that doesn't matter when it comes to a home extension. You need to make sure that you only work with skilled professionals or else you will regret it. You need to figure out what you can afford before you shop around and try to hire someone. If you are only able to afford a few thousand dollars, then you shouldn't hire someone that is going to charge you tens of thousands of dollars to do this kind of work. You may want to make sure that you can afford a quality service and quality extensions in general if you are going to do this because if you go with the cheap route then it could make you have regrets. When you go cheap, the home could fall apart quickly because the extension may not be put in well enough for it to last you a long time. When you are working with someone, they may tell you that something you have is an idea is not that smart to do. You need to listen to the experts when it comes to what they are telling you because you have to know whether it will work or not. Sometimes you may think that you have the best idea in the world about your home, but then it will be shot down by the professional and that is something you really need to listen to because otherwise you may end up with a serious problem on your hands. 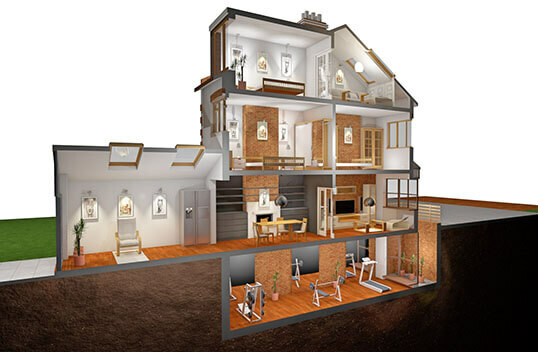 As you research your home extensions London services, you will start to see good results. It's best to be careful, especially since someone doing a bad job can seriously damage your home. Now is the time to be cautious about what you're doing and to always shop around before making choices.